Entrepreneurs and SMEs face numerous challenges. In a world that’s moving fast, we know that your needs are changing and you have to move quickly to find flexible, appropriate, tailored solutions for your situation. That’s why National Bank and Operio are joining forces to support you on a daily basis and provide the answers you need. This business association and our simple, quick and efficient digital platform let you benefit from an established network of experts, processes and tools that fit your situation. To mark this association, National Bank has an exclusive offer for Operio clients. – Receive a $200 rebate when you apply for a Platinum Mastercard Business 3 credit card. 1 To benefit from this offer, the business must: (a) be an Operio client at the time the business bank account is opened; (b) open a business bank account; (c) sign up for one of our business packages; (d) get a client card (no charge); (e) sign up for our Internet Banking Solutions for Businesses (service included in the banking package). The eligible products and services must be maintained for a minimum of 24 months. If the business fails to meet this condition, it must repay an amount to National Bank corresponding to the period during which it stops benefiting from the eligible products and services within 30 days of receiving a refund request notice. The cash rebate will be deposited into the bank account opened in connection with this promotion no later than six months after the account is opened. 2 To take advantage of this benefit, the business must have signed up for a Business Banking Package in connection with this promotion and sign up for HR Assistance Solutions. At the end of the one-year promotion period, the service will be billed at the preferential rate of $200 per month. The HR Assistance Solutions service may be cancelled at no cost at any time by emailing a notice to: solutions.assistancerh@bnc.ca. This solution is offered by the National Bank Assistance Network. 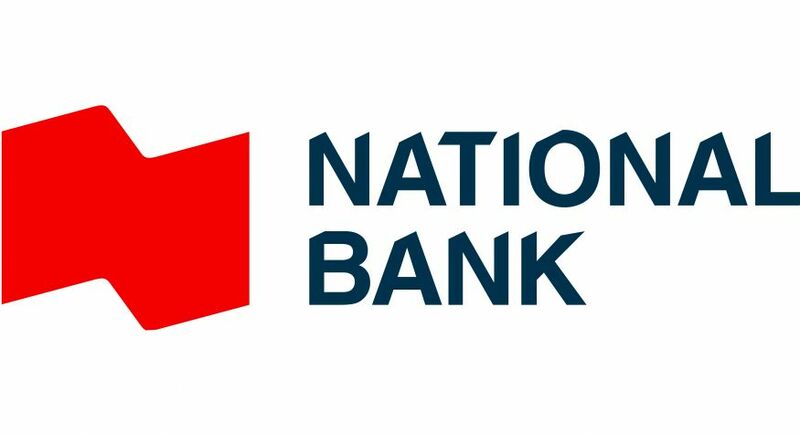 3 Credit card subject to National Bank’s credit approval. The $200 rebate is for individuals who apply for a Platinum Mastercard Business card and the Business Banking Package provided in this promotion during the promotion period. The rebate will be paid to the account of the Platinum Business Mastercard holder no later than three months after the end of this offer, April 30, 2019, provided the holder’s account is in order (i.e. no payment defaults or late payments). The bank account and Platinum Mastercard Business card must both be active at the time the cash rebate is paid.